HVC is an emerging professional manufacturer of high voltage ceramic capacitor and high voltage resisitor . Found in 1999, with production plant of 6000sq meter in Southern China, we are specialized in high voltage components, such as HV ceramic caps and HV resisitor custom production. 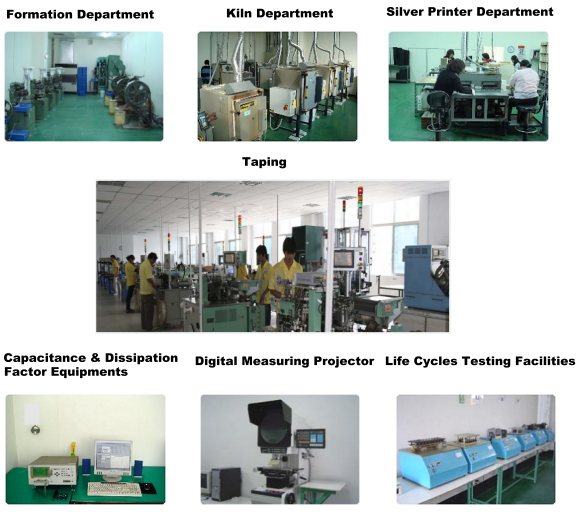 We are the only manufacturer that accepted by international client who before using TDK, Vishay or Morgan's item. For HV ceramic capacitors with rated DC voltage from 1kv to 50kv and capacitance up to 15000pf in 40KV. We use the same standard of Vishay. We have both ceramic disc style and door knob style. Our door knob styel HV caps already widely used in U.S.A and Germany's smart grid. Ceramic disc one already used in PHILIPS's medical equipment. Our HV resistors are thick film non-inductive type, surface coating, built-in high voltage, minimum size, bigger power, wider range resistance features. Power from 1/4W to 50W, resistance range 10-1000M, perfactly apply in AC, DC pulse circuits. LEAD-FREE ROHS comply. Customer can use our HV resistor to match our HV caps item. We believe Germany quality pursuit and Asian pricing strategy will make us from great to excellent!